Remember when being an hocicona (a shameless, big-mouthed backtalker) was deemed culturally improper and punishable by Draconian barrio castigos, such as public regañadas, cachetadas, or chanclazos? Well, kinda. There are still plenty of oppressed hociconas out there. The good thing is there are a good number of liberated ones too. Meet Adelina Anthony, a queer-multi-disciplinary-artista- hocicona who can't shut up about politics, race/ethnicity, memoria, feminism, gender, sexuality, tierra, immigration y muchas otras cosas. Tan hocicona es La Adelina that she's created her very own theatrical Hocicona Series! The series, directed by the very talented D'Lo (http://www.dlocokid.com/), features three solo comedy shows--La Angry Xicana, La Sad Girl, y La Chismosa. The word hocico literally means an animal's snout and mouth, not a human's mouth. 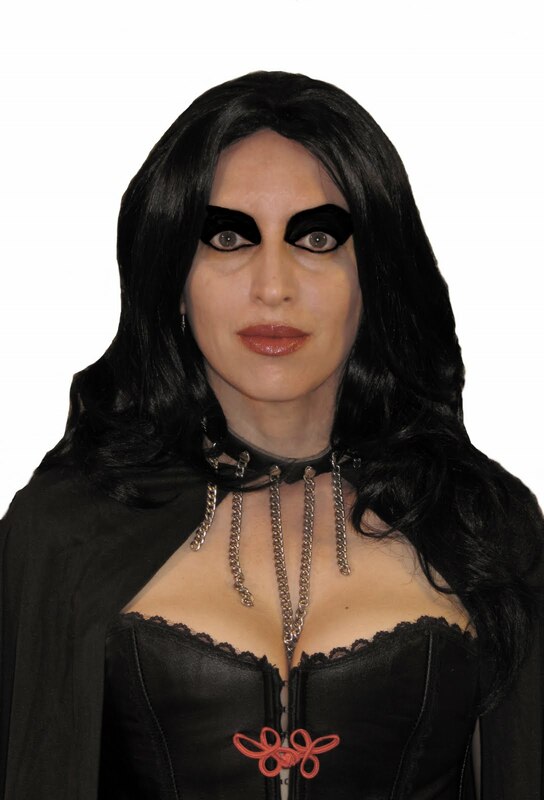 What happens when a woman's boca becomes an hocico? Does she cower in the corner and lick her wounds? Does she lose her breath and pant frantically? Does she bark in protest? Does she raise her hocico up towards the sky and howl at the moon? Or does she snarl and bite the hand that tries to tame her? Rrrgghhh! Adelina bites! With humor, with Spanglish wit, with batting eyelashes, with grace, con chingazos. Wanna witness for yourself? She'll be performing from Nov 5th to the 21st in Hollywood, California. Check it out! FRIDAYS (5, 12 & 19): La Angry Xicana?! SUNDAYS: (7, 14 & 21): La Chismosa!!! When did you first start doing teatro and why? I first started doing teatro in elementary, 4th grade to be precise because I was fortunate to have a Chicano as a teacher, el Sr. Gonzales. Lucky for me, he actually saw my class clown shenanigans as a talent and not a reason for detention. He was the first adult to talk to me seriously about pursuing an acting profession and a creative writing one. I really feel indebted to him and am always reminded of how critical teachers are in a young person's life. After that debut in "The Three Noodles," well, I never looked back. I knew I was going to be an actor. Luckily, I met good teachers along the way and kept working on my skills with each project... and developed a critical consciousness that made my path even clearer and more purposeful. I do it now because it is my spirit work, and it is what I have to offer as medicine for myself and those who come with open hearts and minds. Una hocicona: nace o se hace? Both. Mos def, both. And sometimes, a real hocicona knows when to be silent, listen, process and then respond at the top of her lungs. Yes, those moments of silencio... that's the nuance of the rebellion in the work. What challenges does a queer hocicona encounter in el mundo del teatro? Ah, this could be a whole thesis paper... I suppose the biggest challenge is having gente wanting some parts of my identity, and asking me to suppress others in order to make it comfortable for their tastes. It means losing work sometimes, to stand the ground with all of my identities intact, but at least I stand whole and not fragmented or only partly seen and heard. This is how I honor those who have been holding the ground for all of us, to make the same choices of integrity. How is La Hocicona Series different from your earlier work? Well, for one it's a series. It's the first time I've worked "marathon" style, i.e. having multiple pieces connect with each other. Part of the challenge is creating each solo show so it stands alone, but also finding those threads that are also loosely woven in the other pieces. Sometimes the connections are not that obvious and I'm really asking my audience to do that work long after they've experienced the work... to think critically about what one character said versus another and to have an "aha" moment all on their own. How do you create your various characters for your one woman shows--La Sad Girl, La Chismosa, La Hocicona, for example? Are they you, do they come in visions, do you dream them, catch glimpses of them on the streets? Each character has an organic and composite process: daydreaming, ideas from just meditating with the text, and artistic challenges I set-up for myself. The characters are not me because they are extreme in their characterizations and presentation, but they have elements of my life. Partly that's why I wanted to mess with the stand-up genre and work in a series, so that my audiences could really experience the multiple voices and tensions. In the end, I've done my job as an artist if people believe I've experienced everything I talk about, hopefully, once they listen to all three "locas" it becomes clear there's a huge fiction and art-making process behind it all... because if I really did go through everything my characters talk about and enact... I should be committed to a mental hospital! Plus, I'm fortunate that I've been able to collaborate with D'Lo as my director, so when we have those initial talks about the characters and my ideas, he takes off running with ideas too. I discover what I am doing with the pieces once I'm writing them, then there's another level of discovery when I'm performing them. And I listen. To my inner voices and to everyone around me. I observe and participate because all of life is fodder for art. Since you're an hocicona, is there anything else you'd like to add? I love my audiences, those who keep coming back and inspire me to do the work because it means something to them. I feel really blessed that I have a career primarily built on word-of-mouth. I don't take my supporters for granted. I like how sometimes those audience members become my students in a workshop, and how I get to carry them in my heart. It's not easy to make art in this society as a queer Xicana, so I respect when we do it despite the obstacles. Bravo Adelina! Your art empowers hociconas around the world. Rrrrrgh! Arf! Arf! Hooooooowwwl! Posted by Olga Garcia Echeverria at 1:00 AM 8 comments. Click here to leave a comment. The season is upon us: Halloween/Jalogüín, and/or Días de los Muertos. In my novel Smoking Mirror Blues I suggested combining them into a three-day celebration – Dead Daze. I still think it's a great idea, and I recommend it whenever I can. Maybe one of these daze . . . The Southwest is full of tales of things that go bump in the night. La Llorona and El Cucuy don't have problems inspiring fear in this climate. That upstart El Chupacabras seems to thrive on the new electronic environment. Gnarled cacti, thorny trees, and jagged mountains can send chills up the spine after the psychedelic light show of the sunset dims down. Then there's our hoodoo rock formations, vultures, Gila monsters, and scorpions that glow in ultraviolet light, and all those UFOs . . .
You don't need to go to Transylvania! It's amazing how people can see – and live in – this place and not realize how fantastic it is. We filter our perceptions, put on blinders. This is dangerous – especially for artists, writers, and filmmakers. I'd like to see new visions that take us far beyond the stereotypical “Southwest” of motel landscape paintings and Hollywood Wild West clichés. One such work that does this is a short story “Memorabilia” by Rudy Garcia in the ebook anthology Needles & Bones. It's packed with history and myth woven through New Mexico, bringing in dragons and sorcery to a landscape that is usually a backdrop for arid road trips. Centuries are packed into its pages. I also sense that there may be the seed of a novel that I would love to read in there. We could also learn a few things from Mexican filmmakers, who have never had trouble creating chills in a hot climate. 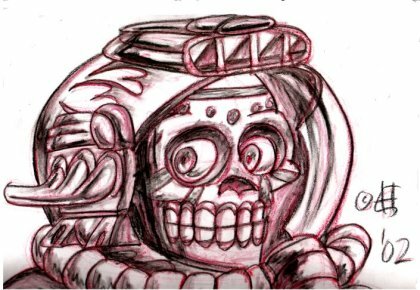 And recently, René Castillo has brought to life a new La Llorona, in Hasta Los Huesos, an animated masterpiece that takes you to world of calaveras worthy of José Guadalupe Posada (only in three dimensions), and beautifully illustrates Mexican attitudes of love and death. Here's to a bright future in celebrations of life and death! Ernest Hogan has recently blogged about songs for Dead Daze, and horror in Mexican comic books. Jimmy Santiago Baca could easily have pursued a life of crime. Sentenced as a young man to five years in a maximum-security prison, he was well on his way. While incarcerated, however, Baca learned to read and write, and found he had a passion for poetry. After serving his time, he chose to leave prison not as a hardened criminal, but as a new writer. Now an award-winning poet, novelist, and essayist, Baca is the recipient of UC Santa Barbara's 2010 Luis Leal Award for Distinction in Chicano/Latino Literature. The award, which is co-sponsored by the Santa Barbara Book Council, was presented at a ceremony at 4 p.m. on Thursday, October 28, in the campus's Corwin Pavilion. 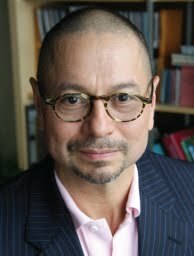 Born in New Mexico of Indio-Mexican descent, Baca is the recipient of several awards and honors, including the Pushcart Prize, the American Book Award for Poetry, the International Hispanic Heritage Award, a National Endowment for the Arts Fellowship, and the International Prize, which he received for his novel, A Place to Stand. He has held a Regents Chair at UC Berkeley, The Wallace Stevens Endowed Chair at Yale University, and The Endowed Hulbert Chair at Colorado College. Baca jump-started his writing career in the late 1970s by sending three poems - from prison - to Denise Levertov, a poet herself, and the poetry editor at that time for Mother Jones magazine. His work was published in the magazine and later appeared in a volume titled “Immigrants in Our Own Land,” which came out in 1979 - the year he was released. He earned his general education diploma (GED) a few months later, and then went on to the University of New Mexico, where he completed a Bachelor of Arts degree in English. In 2003, he received an honorary doctorate in literature from the same university. “Jimmy Santiago Baca is a voice of Chicano survival in a country that has too often marginalized Chicanos and other Latinos,” said Mario T. García, professor of Chicana and Chicano Studies and of history at UCSB. García is also the organizer of the Leal award. The author of more than 11 volumes of poetry and three novels, Baca has been a guest on several radio and television programs, including National Public Radio's All Things Considered, Good Morning America, Language of Life with Bill Moyers, and CBS Sunday Morning. Devoted not only to his craft but to teaching others who are overcoming hardship, Baca established Cedar Tree Inc., a nonprofit foundation in New Mexico that conducts literary workshops in prisons and detention centers, and at community centers and schools for at-risk youth. The organization's mission is to provide underserved communities with the tools necessary to overcome obstacles to learning. In 2006, Baca received the Cornelius P. Turner Award, a national honor presented annually to a GED graduate who has made outstanding contributions to society in the areas of education, justice, health, public service, and social welfare. The Leal Award is named in honor of Luis Leal, professor emeritus of Chicana and Chicano Studies at UCSB, who was internationally recognized as a leading scholar of Chicano and Latino literature. Previous recipients of the award include Graciela Limón, Pat Mora, Alejandro Morales, Helena Maria Viramontes, Oscar Hijuelos, Rudolfo Anaya, and Denise Chávez. Luis Leal died in January of this year at the age of 102. The sign reads Resistencia Bookstore, but according to caretaker Rene Valdez, the space inside is more than just a place for selling books. "It is a space of written resource, but the idea is that it became a safe-space that organizers and activists could come and exchange ideas," Valdez said. "We use ‘bookstore' loosely, but the vision is more a community center to hear people's victories and struggles." The late Raúl Salinas founded the Resistencia Bookstore in 1982. Salinas was a former adjunct professor who taught in the communications department at St. Edward's University. He is known as a Chicano beat poet and social justice advocate. During his time at St. Edward's, Salinas taught courses about social movements and multicultural communication. "He inspired so many students and was such a presence to have here," professor Tere Garza said. Resistencia Bookstore is a part of the legacy Salinas left behind. "We're a grassroots operation and a mom-and-pop five and dime shop," Valdez said. "We don't aspire to be Barnes and Noble or even a Book People." Read the rest of this story from Hilltop Views, by Kristina Schenck, at this link. The premature death of Ricardo Sánchez in 1995 marked the passing of an almost legendary figure in Chicano literature and in the Chicano political movement. 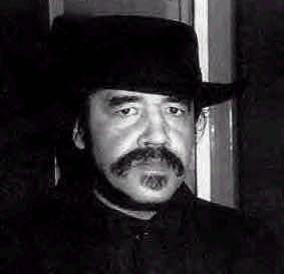 A troubadour of Chicano Movement poetry, he established an anti-aesthetic that became the norm. Sánchez's autobiographical poetry forges a link between genres of the past and present and establishes him as the first great tragic figure of contemporary Chicano literature.In a body of work that spanned spatial, temporal, and cultural boundaries, Sánchez dealt with issues of power and of linguistic and cultural barriers between Anglo, Native American, and Mexican American peoples in the United States.While he lived, critics showed reluctance to engage Sánchez's work fully, perhaps in part because of his reputation as a confrontational, even outrageous individual. Focusing on Canto y grito mi liberación and Hechizospells, Miguel R. López examines Sánchez's work and places him in the context of the past, present, and future of Chicano literature. López explains clearly the relation of time and space in Sánchez's prolific work and shows him as a writer committed to his craft as well as to his political stance. In the end, the portrait that emerges is of a poet whose work was linguistically and thematically complex and one who was more passionate, controversial, and forthright in his expression than any other contemporary Chicano writer. “The poetry of Ricardo Sánchez is here examined with a clinical eye in order to bring out its deep meaning and reveal its multiple values. For the first time the principal works of a major movimiento poet are evaluated in the context of his turbulent spacetime taking into consideration the author’s tragic life. The result is a tour de force seldom equaled in Chicano/a criticism concerned with the study of a single poet.”--Luis Leal, University of California-Santa Barbara. Violations and The Masses Are Asses. So I fly to Manhattan. In my island of wonders. That just kept getting bigger. All aspirin did wass kill joo! For coming to the rescue! Then they drop all the issues. Trying hard to get somewhere. That will always unmask them! Never did lose their accent! If you don't believe ask them. That one day we'll be free. Setting goals in our personal and professional lives allows us to have a better understanding of the value of time and to enjoy our accomplishments. Students at any age can set their goals and work toward achieving them. A two-part book called My Goals. Part One states their goals; Part Two explains how they plan to achieve them. A creative newspaper article, published some years from now, celebrating one of their achievements as an adult. An imaginary letter from their parents celebrating their success in college. Within the Spanish-speaking world, there are many pivotal figures whose lives can be valuable examples to share with young readers. Writing the book Smiles (Sonrisas) has given us the opportunity to bring into children's awareness the efforts of a Cuban doctor, Carlos Finlay, who discovered how yellow fever is transmitted. Our biography marks the importance of Finlay's discovery in the context of the building of the Panama Canal. The encounter of Finlay and Walter Reed, who publicized Finlay's discovery, benefited the world forever. Although Carlos Finlay's merits have not been given due recognition and, for many, he is still an unknown scientist, he should be a source of pride for all Spanish-speakers. The original people of Latin America responded to the striking landscapes, learned from nature, overcame obstacles, admired the world around them, and found ways to create additional beauty and to help nature to be more helpful to them. They created food sources for all humanity. Invite students to research and share where their ancestors came from. Ask them to dialogue about the content of the book, identifying what they admire most about what they have read. 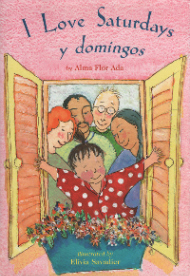 The protagonist of this book has a set of English-speaking grandparents and a set of Spanish-speaking grandparents. She feels equally comfortable with all of them and with her two languages. Repeat the few phrases and nouns in Spanish included in the English edition of this book, or vice versa. Guess from the context the meaning of these words and phrases. Make a list of reasons why knowing two languages is beneficial, giving specific examples. Encourage them to make the list as exhaustive and diverse as possible. 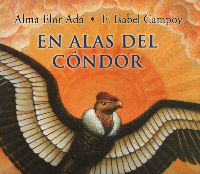 The 12 songs on this CD combine whimsical traditional rhymes like "El señor Don Gato"; tender lullabies like "A dormir"; and original poems by Isabel Campoy ("El lápiz de Guillermo" and "Ramón y su perro") and by Alma Flor Ada ("Oficios" and "La lluvia") -- all in the extraordinary voice of Suni Paz, who created the music for the original poems. Memorizing songs enriches students' vocabulary and syntactic repertoire, preparing them to be better readers. Select their favorite songs to sing in small groups. Improvise instruments to accompany their voices. Create a program they can sing in other classes or for the whole school. 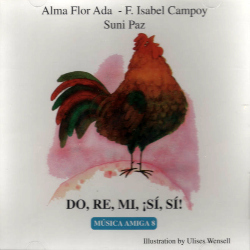 Books and CDs by Alma Flor Ada and F. Isabel Campoy can be obtained from www.delsolbooks.com. Visit www.almaflorada.com and www.isabelcampoy.com and send Alma Flor and Isabel your comments on their books, CDs, and DVDs. Learn more about enriching the lives of your students through a wealth of books by visiting www.americanreading.com. Posted by Rene Colato Lainez at 11:16 PM 2 comments. Click here to leave a comment. 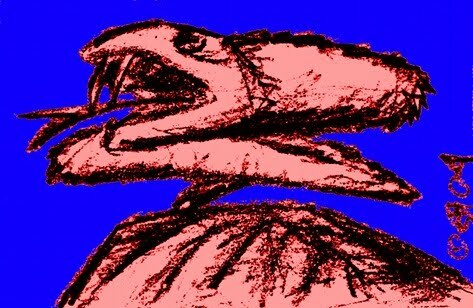 Moderators of Facebook's Poets Responding to SB1070 submit a weekly list of poems for republication here at La Bloga. On-Line Floricanto has become one of the most popular features of La Bloga's weekly array of seven daily columns. Francisco Alarcón's team of moderators select from memorable poems contributed by Facebook users who comply with a simple eligibility process. (Ed. note. This corrects an error in earlier editions of La Bloga 10/26/10). There’s generally an abundance to select for La Bloga. From the earliest grumblings out of state government, decent gente spoke out against both the text and the sentiment proposing laws like SB1070. Poets responded in large number and frequency. The Facebook group's work fit beautifully into La Bloga's character and La Bloga started its weekly On-Line Floricanto. Times change. SB1070 is in court. Tucson public school curriculum fights a battle for survival. Law or no law, it’s still unlawful to breathe while brown in Arizona. “Think I’ll take my papers,” is a standard joke among travelers to the territory, boicot or no boicot. How has the On-Line Floricanto responded to change? Movimiento poetry tends to collect itself around common themes or motives, including an edenic Aztlán and Amerindian homeland; lost and ruined homeland of the barrio and its natives; the Devil undisguised, namely Jan Brewer, Joe Arp**o, Them. Advocacy poetry thankfully has a counterpart in that portion of writing devoting itself to being merely a poem. The difference alludes to the distinction seen in the phrases chicana poetry and poetry by a chicana. La Bloga hopes On-Line Floricanto is engaging. That La Bloga's On-Line Floricanto becomes a way to involve oneself, to gauge the development, of our sentimientos. An effective poem mirrors its cultural milieu and allows the poet to influence your view of cultural trajectories. How’s On-Line Floricanto doing? Do you have several memorable titles? Shared a poem or two with correspondents? Overall, does On-Line Floricanto keep pace with what’s happening in Aztlán, in the community, in your sentimientos? Is On-Line Floricanto the same anthology it was back in May 2010, or does it feel contemporaneous with late October 2010? Beginning next Tuesday, Francisco’s team is narrowing the field to five poems for the weekly On-Line Floricanto. The selection process remains otherwise unchanged. I hope this helps moderator and reader focus on what each considers vital in making a poem worth sharing. I invite La Bloga readers and the moderators to Comment on How’s On-Line Floricanto doing? To Comment on the direction the poetry is taking, is this what you want to read? Click on the Comment counter below to share your ideas. And do remember, La Bloga welcomes guest columnists. When you have an extended response—counterstatement or expansion, an arts, cultural, or community event to share, send me an email to discuss being a La Bloga guest columnist. On-Line Floricanto October 26, 2010. When did spaceship and slave ships become interchangeable words? that may be you too. UNITED STATES DEPT.OF IMMIGRATION'S GOT NOTHING ON ME. DISGUISED AS A WINGED ONE, I FREE MY PEOPLE. FOR THE ONE IN THE DESERT, I AM A CACTUS WREN. I WILL SING HER INVISIBLE,SING HER MY ROUTE PLAN. FOR THE ONE ON THE RIVER I AM A HERON. FOR THE ONE ON THE RIVER I AM EXTENDING MY WING. FOR THE ONE CAPTURED I WILL SHOW HER FLIGHT. FOR THE ONE IN THE VAN I WILL SING IN HER HEART. FOR THE ONE CLIMBING THE MOUNTAIN, I AM A HUITZILLI. I AM THE HUITZILLI ANCESTOR OUTFITTED TO FIGHT FOR FREEDOM. FOR THE ONE IN THE DETENTION CAMPS I AM THE DOVE COOING. I AM THE DOVE COVENANT BETWEEN THE EARTH AND THE CAMP. DISGUISED AS A WINGED ONE,I FREE MY PEOPLE. I AM THE EAGLE THAT LED US TO ESTABLISH OUR FIRST DIGNITY. I AM THE ALBATROSS GAURDING THE SEA. I AM THE ALBATROSS ON THE ATLANTIC AND ON THE PACIFIC. I AM THE ALBATROSS DOING THE DANCE FOR ALL TO SEE. I AM THE RED HEADED PERICO EN AL PURISIMO EJERCITO EZLN. I AM THE GRITO OF THE FALCON. I AM STAYING DISGUISED SO AS TO HELP MY PEOPLE,ESCAPE. LOS MEXICANOS PERSEGUIDOS E HUMILLADOS . LOS ARRESTAN Y LOS AVERGUENSAN Y LES GRITAN! I AM A WINGED ONE, FREE,SO I CAN,I CAN HELP THEM! I AM THE CACTUS WREN IN THE DESERT TELLING THEM WHEN. YOU DON'T HAVE TO RUN ANYMORE,HERMANO. sought to civilize the "savages"
take the place of drums. the stars. the moon. the sun. to say "I love you." The authors of Senate Bill 1070/ Fail to address the severity/ of discrimination it will impose/ On tan skinned colored folks/ First is racial profiling/ then assets they’re liquefying/ Then they’ll be denying/ civil rights to ethnic chaps/ Followed by institutionalization/ Into concentration camps/ You can ask the Japanese/ about life in 43’/ And the horrors that they bore/ in the US by 44’/ How they were treated like enemies/ Due to their ancestries and/ Soon, government will hand out jalapeno patches/ Because the Jewish star is taken/ They’ll sow them to your clothes while saying:/ 2012 for Sarah Palin./ To her:/ Contribution payments silence the innocent wailing/ of school children that are left waiting/ for parents caught in a switch and baiting/ Cuz they believed they could be legal/ By registering and obeying/ Civil mandates,/ that now target them at alarming rates/ thanks to fascist laws that degrade,/ and rob hard working people of dreams to be great/ They weren’t swift enough when running/ And now await deportation processing/ For the bad guys most obvious disguise/ Are smiles and ill offerings/ Would you like a blanket?/ For this racial injustice,/ of the hateful self righteous/ Against the threat of a “minority”/ who has become the majority/ Is rooted in a conquistadores ideology/ This beef is older than you or I;/ it goes back to colonial times/ For we are more than Spanish speaking voters,/ or voters that speak Spanish/ Whether we learned it at school/ or it was taught as our first language./ We come from rich cultures,/ but our histories have been damaged./ Altered, and rewritten/ with the blood of the so called savage/ While the history books glorify,/ all the hate and ruthless carnage/ Making all these bastards crimes/ Sound melodic and poetic,/ through manipulated rhetoric./ I was made to feel ashamed,/ if I claimed my people’s past/ Didn’t know my ancestors were kings and Queens/ whose teachings would outlast/ the oppressors till the day/ their descendants would take what’s theirs back!/ But it’s dangerous you see:/ to think and speak freely/ To question why things are/ the way they’ve been set up to be./ Immigration policy has been broken ever since/ Special interest was replaced/ for good ole’ common sense/ Tell me, how many Latino hijackers/ crashed into the towered twins?/ Is it really that unnatural/ for us to drive a Benz?/ Can only certain ethnic groups/ thrive off the sweat from their skins?/ As a child I was told/ my forefathers were British immigrants/ That came to this land searching/ for better lives and dividends./ Sound familiar?/ So what then gave them the right?/ To stake claim on this land/ while asking the inhabitants not to fight?/ Try getting that one past an elder Iroquois or Cherokee/ I’m sure they’ll tell you differently./ and maybe you’ll understand why they’re treated gingerly/ I’m sure they’ll remember the trail of tears/ that led to the registration acts/ Full of rage and tears,/ they were forced into reservation camps./ That’s where their food/ was rationed and sitting bull wouldn’t eat/ That’s were children lost their culture/ while their mother's cried to sleep/ These new laws proposed,/ are this generations’ Jim Crows,/ Meg Whitman wants your vote,/ says the billboard ad campaign/ But only if you Americanize/ your first and last name/ Hypocrite:/ posing with Pete Wilson as a gubernatorial candidate/ She’s tough on Immigration/ depending on the votes she gets/ They call me an anchor baby,/ because I’m a citizen by birth/ Jan Brewer’s people call it:/ ethnic cleansing of their turf/ A safe neighborhood act/ makes it dangerous if asked,/ What hospital you were born in/ and which government paid the tax. This story has another ending. begging help from an English speaking Christ instead. like a mother’s sour milk. without my own blood simmering in offense. didn’t give birth to me? There is strength in the words,?que no? waiting for my own arrival long ago. 1. "Culture Doesn't Border (Response to SB 1070)" by Rah~Mah Mercy Rah~Mah Mercy is an aspiring artist who has taken on the craft at a very young age. Starting presenting herself to the world of performance poetry at 11 years old. She is a full-time college student in Arizona majoring in Pre-law and Theatre with a passion that drives her to spend her summer dedicated to being a full-time traveling artist attempting to pay her way back to school in August. She spent 2009 competing in 2009 Brave New Voices Competition with the PG County slam team and went to St. Paul, Minnesota in August 2010 to compete in the Adult National Poetry Slam as a part of Arizona's Flagslam team. She has a deep passion about the arts and believes that it is the cure to all things and finds sanctuary in letting her work be her testimony of all she has been through to get to where she is. My name is Diana Joe. I am raised mainly with my Yaqui ways and therefore humbly offer this introduction as Yaqui. My indigenous grandparents are recorded to come as three from Mexico and one German, from the state of Kentucky, an early plantation keeper settler family. I am a grassroots social justice/human rights advocate and activist. My personal activism spans into four decades. I began my advocacy/activist work by watching my parents doing the same with family and community. I enjoy my life as an activist it has been exceptionally satisfying and rewarding to me and my family. My ties to the community and my world are strong because of my love for the earth and its creatures. I was born in 1960 in Brownsville, Texas. I presently reside on the Navajo Reservation. I am self-employed as an cultural exchange consultant. I work in the schools here on the Navajo reservation and in other native American communities/tribes around the country and in Mexico and I do so, year round. I live in the North Eastern Part of Arizona in a little town called Tsaile. I have lived here nearly fifteen years. I write poetry and short stories. I am an open-microphone seeker as I have found that open-microphone venues enable me to send a political message to the masses! 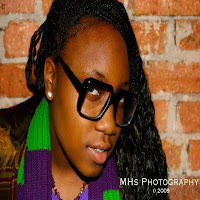 My writing is directed mainly into bringing betterment and empowering people of color. I specialize in working with the indigenous Mexican-American peoples. Writing has enabled me to help others bring forth their own desire to self-advocate for the Earth. I have found it to be very satisfying to watch as others do grow and even excel in their personal lives through a humbled gathering of ideas and mere sharing of poetry. I began to write about the age of eight . I wrote on everything from tree bark to toilet tissue squares. I didn’t save my work because I really had no idea what I was doing. I paint and create pieces of deco-art utilizing earth shared mediums. Things such as rocks and driftwood different colored sands and dirt become instrumental design element for home and out of door spaces. A lot of my writes are based on the experiences that I have had from my personal life. I was born into a farm worker family and I feel very connected to the Earth because of that. I write about the Earth. I like to express my feelings of deep gratitude for the gifts that the Earth grants to us as living beings. Albuquerque native Andrea Serrano has been writing and performing poetry for 16 years. 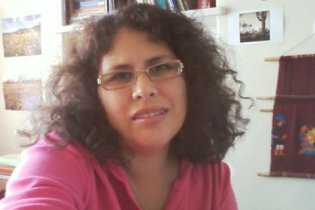 Andrea has been published in various publications including Cantos al Sexto Sol: An Anthology of Aztlanahuac Writings (Rodriguez/Gonzales). Andrea is the youngest of six daughters and credits her family, her ties to land, language and culture and the experience of growing up in Albuquerque with influencing her writing. Andrea is a Community Educator specializing in sexual violence prevention, a student, an activist, and is a member of the band Cultura Fuerte. 4. "Knowledge of Generations Gone" by Odilia Galván Rodríguez Author, Odilia Galván Rodríguez, is of Chicano-Lipan Apache ancestry, born in Galveston, Texas and raised on the south side of Chicago. As a social justice activist for many years Ms. Galván Rodríguez worked as a community and labor organizer, for the United Farm Workers of America AFL-CIO and other community based organizations and served on various city/county boards and commissions. She is the author of three books of poetry, of which Migratory Birds: New and Noted Poems is her latest edition. 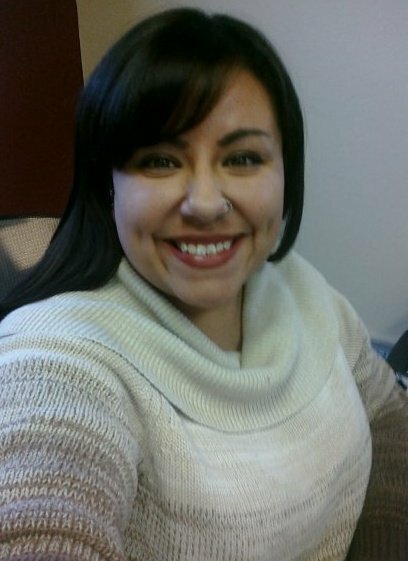 Her creative writing, both fiction and poetry, has been published in Reinventing the Enemy's Language: Contemporary Native American Women's Writings of North America; New Chicana / Chicano Writing: 1& 2; Here is my kingdom: Hispanic-American literature and art for young people, and in many other literary journals, and anthologies. 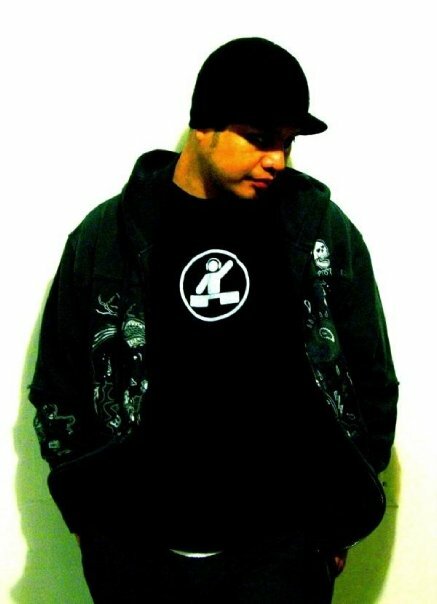 A. Alex Alfaro aka ALPharaoh is a Spoken Word Poet, Actor, Writer, and Emcee from Los Angeles. He is the oldest of four siblings and son to immigrant parents. as a child, ALPharaoh moved around alot throughout the greater los angeles area. from East Los Angeles to Echo Park, to South Central L.A. he was forced to overcome the harshness of life in gangs, drugs, death, and Violence. Today, he uses his creative gifts to tackle issues of social injustice and immigration reform among others issues of social importance to him. He holds an associates degree in psychology from Cypress College, and is currently Earning a BS in Behavior Spychology from UC Irvine. You can hear ALPharaoh performing with the Uncultivated Rabbits of UCI and at various Open Mic venues in L.A. and Orange County. Film Credits include AKA Creek, Educating A Big City School Boy, a 1999 Documentary about public education reform. He can currently be seen on stage in "Almost, Maine" which opens November 12th, at Cypress College, Cypress California. 7. “I am waiting for Lawrence Ferlingetti" by Mari Herreras Mari Herreras is a fifth generation Arizonan, who lives with her husband and son in her hometown of Tucson (Baja Arizona). She is a writer and poet, and currently works as staff writer for the Tucson Weekly, writing about local issues and everything in between that makes Tucson weird and beautiful despite Jan Brewer, Russell Pearce and Joe Arpaio who live up north in Maricopa County. Michael Nava has excelled as both a writer and lawyer. A Phi Beta Kappa from Colorado College, Nava went on to earn his law degree from Stanford University in 1981. From there, he worked with the Los Angeles City Attorney’s Office, a prestigious private appellate law firm, and then as a research attorney first with the California Court of Appeal and now with the California Supreme Court as a judicial staff attorney for Associate Justice Carlos Moreno. Nava also happens to be an award-winning author of nine books. Nava has been running for a seat as a judge of the San Francisco Superior Court. If you wish to support or learn more about his candidacy, visit his official website. You may have read that his race, which involves a challenge to a sitting judge, has become a battle between the establishment and an attempt to bring more diversity to the bench. In the June 8th primary, he received the highest number of votes for San Francisco Superior Court, winning nearly 46% in a three way race and defeating the incumbent. However, because judicial candidates have to win a majority, Nava now have to go into a run-off in November against the incumbent. Still, he heads into November as the frontrunner. This really is a story of David and Goliath: In the last three months, Nava's opponent (a sitting judge who was once registered as a Republican but now “declines to state”) has raised $170,000 from big law firms. Moreover, the San Francisco Chronicle has written a number of articles attacking Nava, cumulating in an editorial last weekend that said Nava was not qualified to be a judge. Nonetheless, Nava has great grassroots support including the Hispanic National Bar Association, SF La Raza, BALiF, and other community organizations and leaders. If you are registered in the San Francisco area, I urge you to vote and make your voice heard. Posted by Olga Garcia Echeverria at 1:00 AM 1 comments. Click here to leave a comment. Aztlán is my native land. That's the American Southwest, to those who aren't tuned into the Chicano politico/poetics of the last half-century. I love these mountains, deserts, these crazy mixed-up peoples, and the millennia of history lost and found. I may never make it to Mars, but Aztlán is a Mars on Earth. No wonder Hollywood came here to create its Wild West and sci-fi mythologies. Last time I was in Utah they were filming Edgar Rice Burroughs' A Princess of Mars. 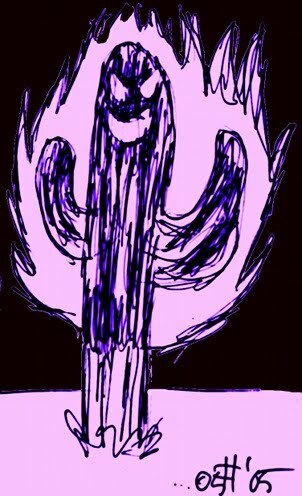 I would love it if, someday, colonies on Mars looked like Aztlán. So I was delighted to read Tom Miller's Revenge of the Saguaro. It's not science fiction or fantasy. It's non-fiction, a travel book that's stranger than sci-fi. It makes make me homesick for Aztlán, and I live here. I'll be packing it, along with David Hatcher Childress' Lost Cities & Ancient Mysteries of the Southwest on future Aztláni road trips. Not only does Tom Miller cover the Border, Bisbee, folk songs, cockfighting, and more . . . but he charges into Chicanonautica territory. I am eternally grateful to him for letting me know about Gumersindo Esquer, who some call the Mexican Jules Verne, a Renaissance Man of the Sonoyta. The comparison to Verne comes from Esquer's 1928 novel, Campos del Fuego (Fields of Fire) that Miller describes as “a wild sort of psychedelically inspired Mexican science fiction.” Everything I can find about the book make me drool: It starts out as a realistic account of a trip into the volcanic craters of the Sierra del Pinacate, just north of the Border, that turns into journey into an underground lost world. “Gumersindo Esquer of Sonoyota: a Mexican Jules Verne in the Footsteps of William Hornaday,” by William K, Hartmann, Gayle Harrison Hartmann, Guillermo Munro Palacio, (Journal of the Southwest, Summer 2007) describes Esquer as an Aztlán visionary, outdoorsman, teacher, poet, gun enthusiast, and even painter. One painting – sadly missing – was called “Sonoyta in the Year 2000” showed a train crossing the region that he believed would one day become an important crossroads. So here I am, dying to read this book – unfortunately, it's out of print. It's listed in Google Books – with no reviews and not much information. Amazon says it's, “Currently unavailable.” It was reprinted in Mexico in 1985. Around 1964, archaeologist Irwin Hayden did an English translation that has never been published. I'll be scanning for it as I comb through used book stores and antique malls, which brings me to one of the great ironies of our so-called Information Age: There are more things on Heaven and Earth than are accessable on the Internet. Everyday more stuff is saved, but a lot of futuristico/fantastico stuff -- that, despite being old, is wonderful and can do things to your brain that will make you better able to cope with the craziness to come – crumbles to dust. We are in a race against time. It would be a shame if Campos del Fuego suffered the same fate as Esquers' painting of futuristic Sonotya. Meanwhile, if you see a copy of Campos anywhere, please let me know. Ernest Hogan has climbed pyramids from Tenochitlán to Chichén Itzá.